Filed to: How's It Made?Filed to: How's It Made? The ingredients of a sparkler are pretty basic. You need some kind of fuel, an oxidizer, either iron or steel powder, a binder, and wire. According to Rensselear Polytechnic Institute, the most common mix is charcoal and sulfur as fuel, potassium nitrate as an oxidizer, and sugar or starch as a binder. If these components sound familiar to some of you firebugs out there, yes, they’re also the same components in fireworks. The difference is in the proportions, not the ingredients themselves. The color mix of the firework or sparkler also varies the exact composition a little, as this chart from Compound Interest breaks down. Different colors aside, it’s the same relatively simple formula of wire, fuel, and oxidizer over and over again. In fact, if you’re so inclined, the internet abounds with vaguely-alarming DIY sparkler recipes that you can use to mix up a batch yourself. But be forewarned: Just because at-home versions are possible doesn’t mean sparklers are harmless. Far from it. Temperatures of a burning sparkler can reach 2,000 degrees Fahrenheit. 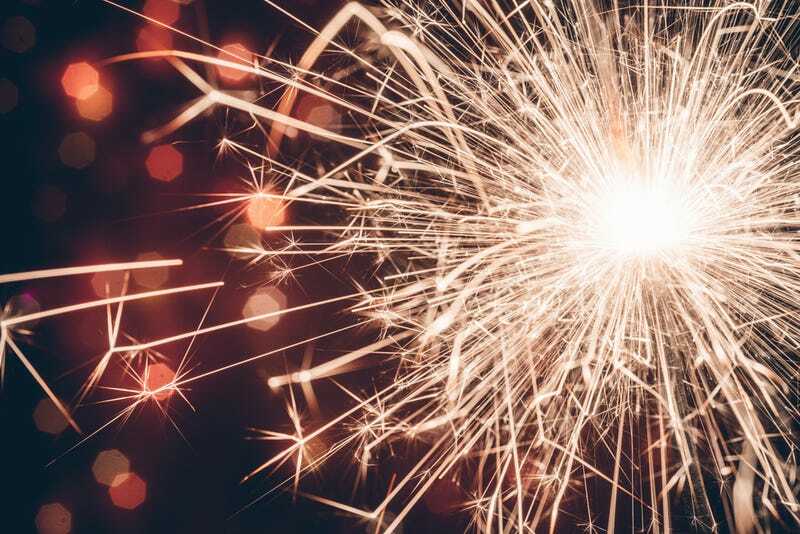 The most recent Consumer Products Safety Council puts the number of firework and sparkler burns injuries a year at a little less than 10,000—almost all of which will occur within the span of this week. It’s something to think about as you light up that wire and let the sparks burn down perilously close to your unprotected hand.